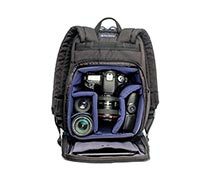 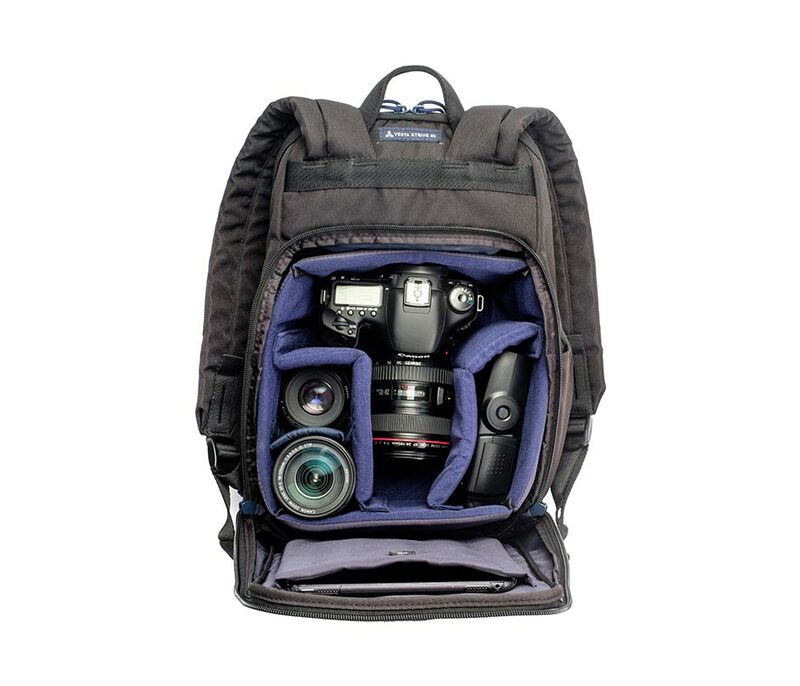 Comfortably carry your DSLR or CSC camera with attached medium lens, 2-3 extra lenses, flash, and related accessories with the black Vanguard Vesta Strive 40 Backpack. 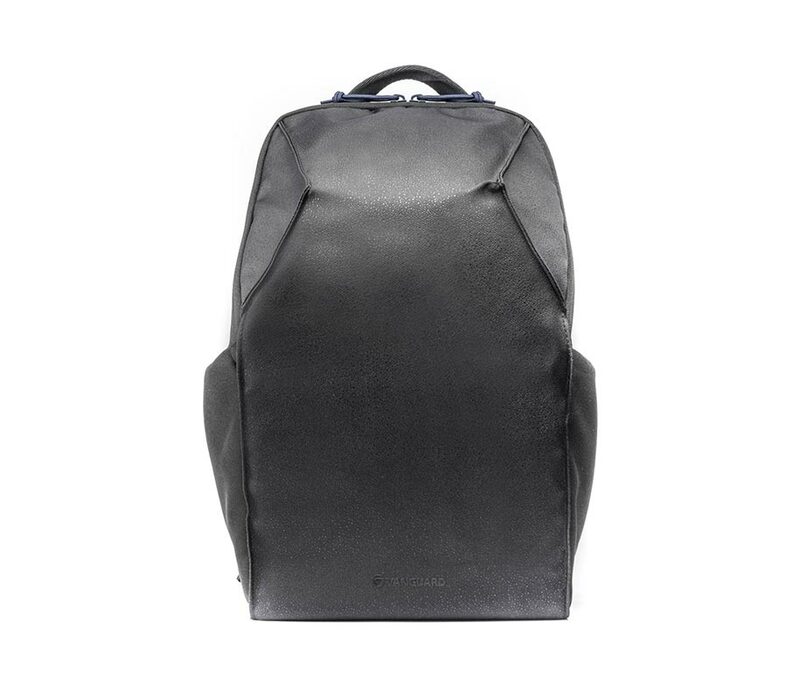 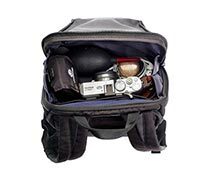 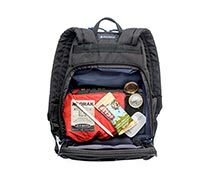 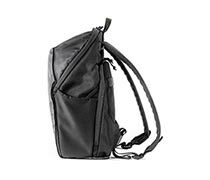 The pack has a top compartment with zip pockets for personal items, and a main, zip compartment with a removable insert with touch-fastening dividers for camera gear. 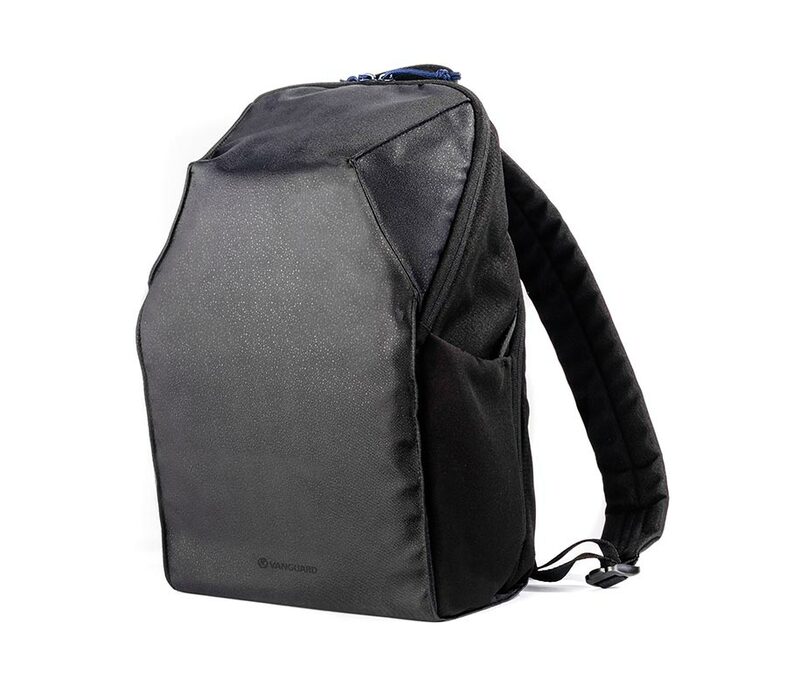 Under the lid to the main compartment is a padded, tab closing sleeve for your tablet.